New artists can be interesting sometimes. Some people have a hard time taking new artists seriously, even if their debut record is released by a big-name label. 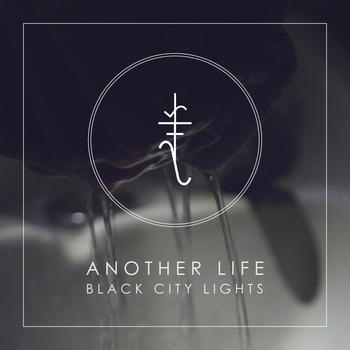 Black City Lights, a pop artist from Wellington, New Zealand is no different. Their previous EP, "Parallels" was an interesting release through which the group showed a lot of promise. That EP was good but not great. Since "Parallels" Black City Lights have released several singles. The year 2013 has finally given us a debut full-length album from the band. Where "Parallels" was good, "Another Life" is fantastic. The artist has deepened their sound and have much improved in the vocal department. Black City Lights is most described as a dream-pop outfit, though the band seems to shy away from that label. The problem with such a genre-specific label is that adhering to it only served to inhibit the musical artistry. I think a more apt description of the music would be ambient synth pop with a very chill wave vibe running through it's veins (holy vernacular, that's a lot of 'v's, Batman!" If I were to compare artists, :Papercutz, whose latest album we raved about, would be at the top of the list. Though the vocals are still not quite as strong as those from the aforementioned band, the cold, dreamy synths behind the vocals more than make up for it. Don't get me wrong; I'm not saying the vocals are bad. They are quite good as a matter of fact, just not quite as prolific as :Papercutz. The music in this release is deep and moving, packed with grandiose synths that paint the musical landscape with beautiful, ambient brushstrokes. Standard electronic pop beats akin to chill wave music float to the surface in stunning fashion. Another term I would use to describe the music would be dark cold wave. This record emits a chilling darkness that is both beautiful and eerie. Most of the tracks on this album are brand new. One is a previously released single and at least one other track comes off of "Parallels". If you are into pop music that doesn't meet the rigid qualifications for heavy air-play, you will most likely enjoy this disc. This music remains interesting and beautiful throughout the short 45-or-so-minute run time.